Porto shattered Celtic's hopes of winning their first European trophy for 36 years with a dramatic Uefa Cup final victory in Seville beating Celtic 3-2 (aet). Martin O'Neill's side twice fought back from behind against the Portuguese champions on a night of searing temperatures and fluctuating fortunes, in the Olympic Stadium. But Porto snatched a late extra-time winner, with Celtic reduced to ten men after defender Bobo Balde was shown the red card. Celtic: Douglas, Balde, Mjallby, Valgaeren (Laursen 64), Agathe, Lennon, Lambert (McNamara 76), Petrov (Maloney 104), Thompson, Sutton, Larsson. Subs Not Used: Hedman, Sylla, Fernandez, Smith. Sent Off: Balde (95). 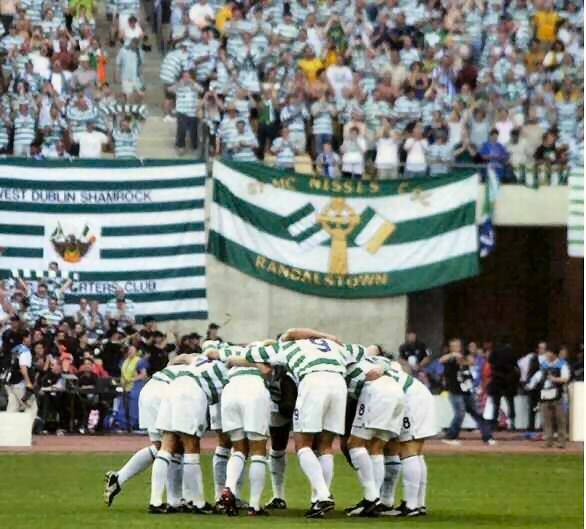 Booked: Valgaeren, Lennon, Balde, Petrov. FC Porto: Vitor Baia, Ferreira, Nuno Valente, Jorge Costa (Pedro Emanuel 71), Ricardo Carvalho, Costinha (Ricardo Costa 9), Alenichev, Maniche, Deco, Capucho (Marco Ferreira 98), Derlei. Subs Not Used: Nuno, Cesar Peixoto, Clayton, Tiago. Sent Off: Nuno Valente (120). Attendance: 52,972 Referee: Lubos Michel (Slovakia). Supporters remained defiant as they praised their side's efforts in reaching the club's first European final in 36 years. 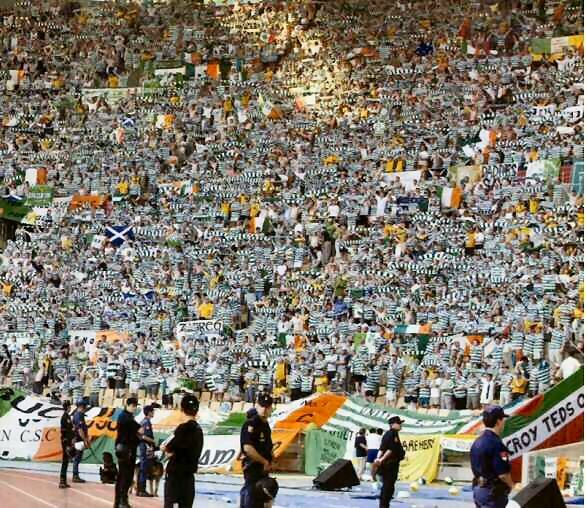 An estimated 50,000 Celtic supporters created a party atmosphere in Seville as the city was swelled by what Uefa described as the largest travelling support ever to have assembled for a single game. Despite the defeat, the legion of fans gave the team a rousing ovation after the final whistle.